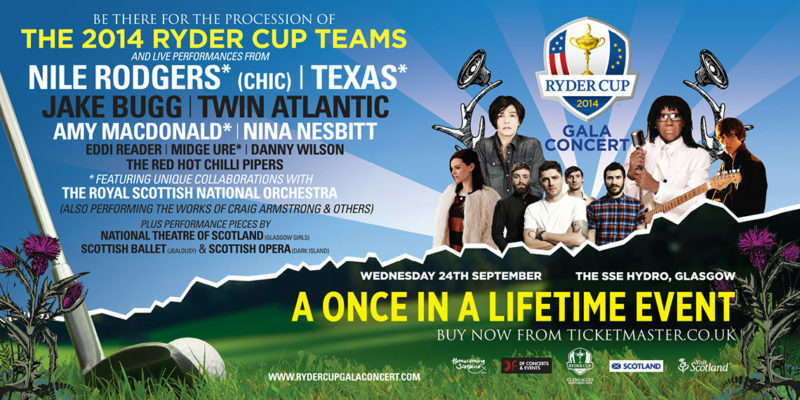 The Ryder Cup Gala Concert is the definitive curtain raiser for one of the biggest sporting events in the world, a show that represents the very best of the beautiful host country. 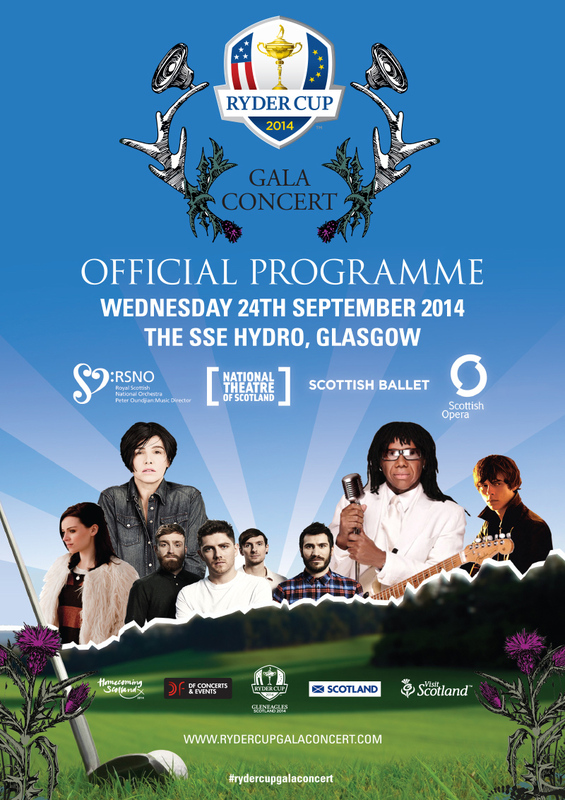 The concert united celebrated music stars, alongside the European and US golfing stars of The Ryder Cup. 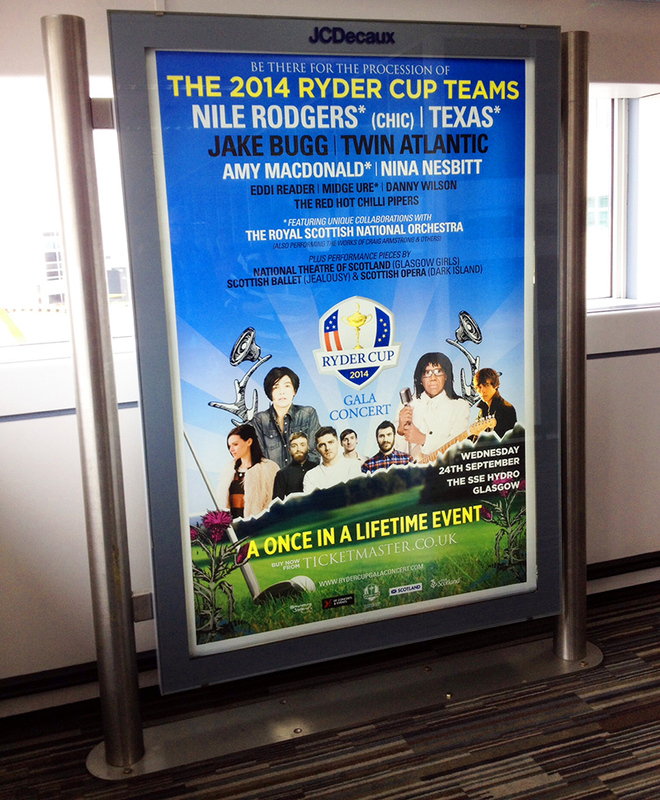 I was tasked with re invigorating a campaign around half way through and my creative was approved by several major stakeholders including The European Tour and Visit Scotland. For this project I designed a layout that would work on both 4 and 6 sheet layouts, as well as 48 and 96 sheet billboards, digital display ads and the official programme cover.